Is it the drink, the design of the glass, or a little of both? What doesn’t look good, served in a martini glass. 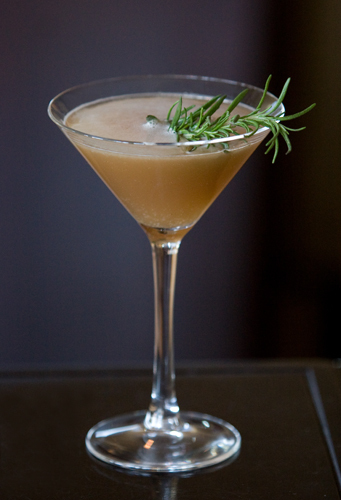 Originally, Martinis were made with gin and vermouth and garnished with an olive or twist of lemon. Some substituted vodka. The origin is unclear but vermouth has been around 150 years. Even though quite strong, they have always been a beautiful and fashionable drink. But for me it’s not the drink, it’s the glass. 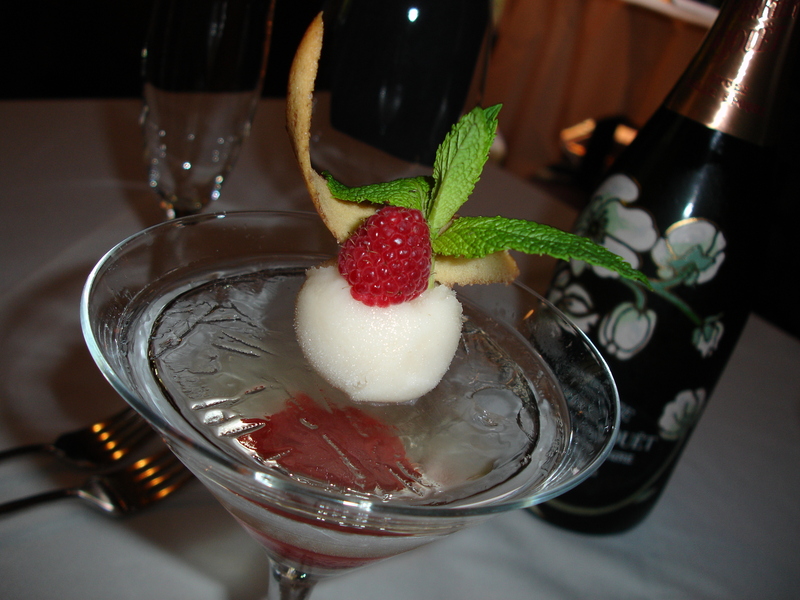 I’ve used the martini glass for years to serve shrimp cocktail and desserts. I’m not alone, as many restaurateurs have done the same. 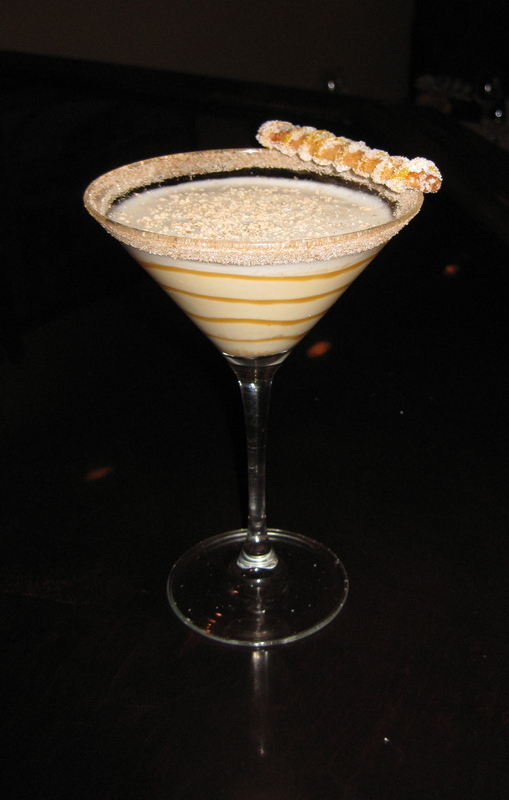 When wine started taking over sales in the market, mixologists started becoming more creative with Martinis. This trend has taken off like lightening. I’m going to share a couple of the new-type Martini recipes. Just imagine them being served in an ordinary glass. One eats with their eyes first before they taste. The style and romance of the glass has stood the test of time. Other drinks have gone from various shaped glasses to mugs or mason jars, but not Martinis. The glass does matter. In contrast, let’s show Jim Alexander’s dessert from Zebra’s in Charlotte. Place frozen sheet of ice atop a martini glass. Fill with Champagne or flavored martini! Top with sorbet and garnish. For ice, pour about a quarter of an inch of water in muffin tins or ramekins and freeze. Then poke holes in them and place in glass. If you are using champagne or sparkling wine, consider adding Kir or Chambord. That would go well with the raspberry garnish Jim uses. You could also use a peach liqueur with an apricot or peach slice as a garnish. What are your thoughts? I’d be very interested in hearing them. We always like to hear feedback from our readers. Most have an opinion on the Martini glass. Feature image courtesy of Shutterstock.com.